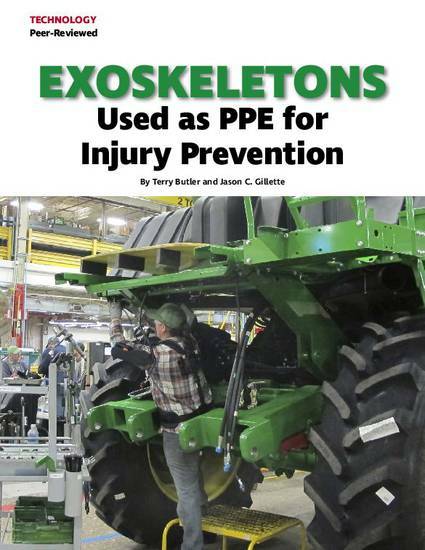 This article is published as Butler, T., Gillette, J.C. Exoskeletons: Used as PPE for Injury Prevention. Professional Safety; March 2019; 33-37. Posted with permission.